I believe that earrings are the number one must have. 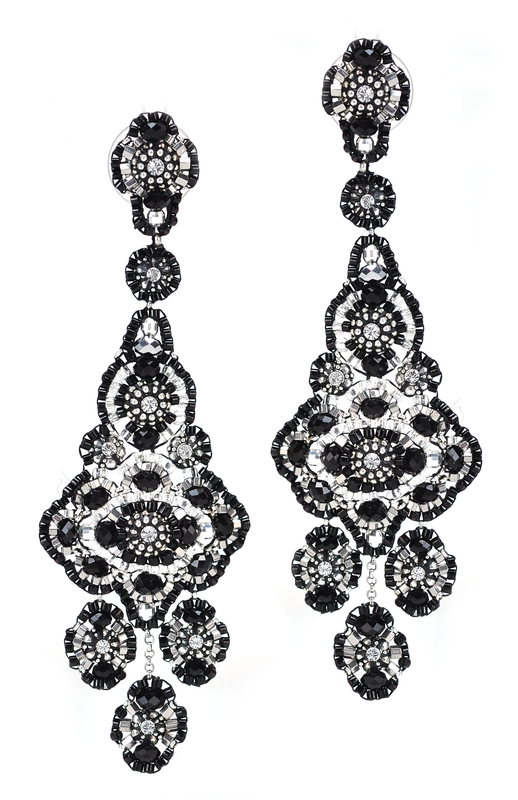 A big statement earring will always light up your face – it is the equivalent of a stiletto heel. They’re feminine, fun and always a conversation piece. Miguel Ases earrings are the perfect pick to get you through the holiday season – they come in a million color ways and silhouettes so there is something for everyone! 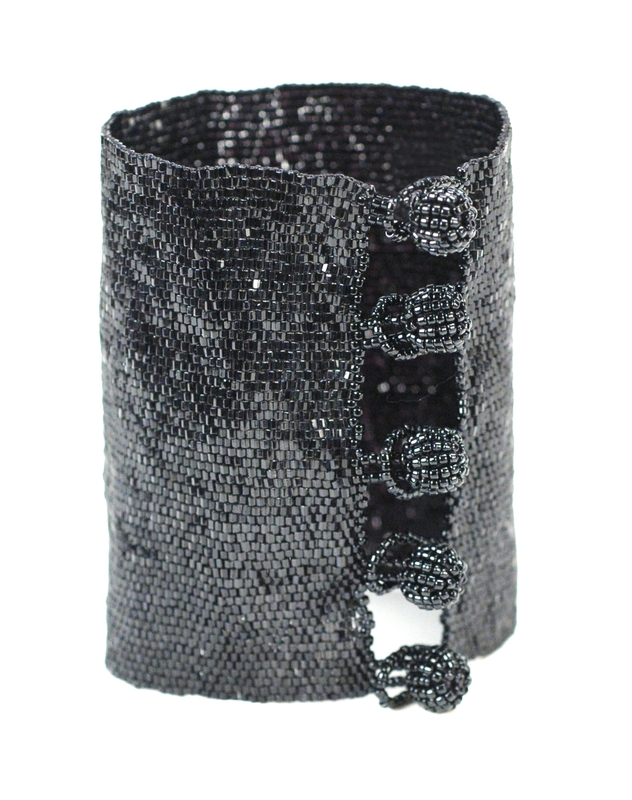 If you go big with your earrings, keep it quiet around the neck and accent them with a great cuff! I love wearing Huichol beaded cuffs with Miguel’s earrings – it’s a fun combination and a great neutral that can be worn with anything. Another great look for the holidays is a bold statement necklace with a small accent earring. 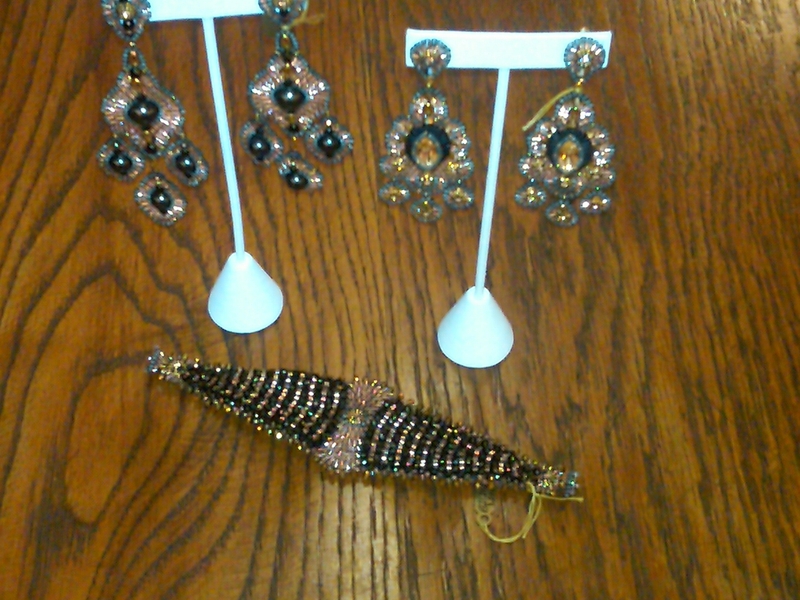 Try a sparkly Millianna bib with a pair of Robindira Unsworth earrings. The colors here are neutral metallics which means you can wear each piece differently every time. 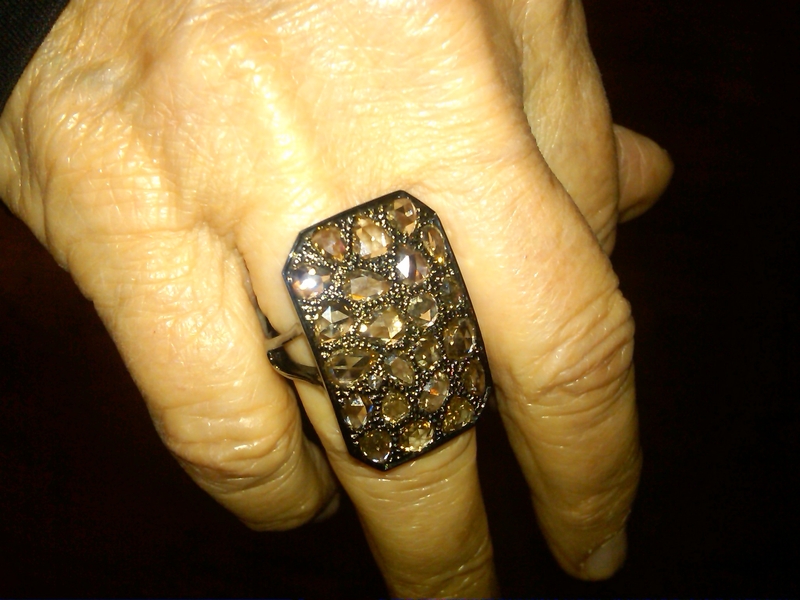 The holidays are all about sparkle and shine; don’t be afraid to mix metals like rose with yellow, white and black. It all works together! Other great ways to spruce up your holiday ensembles are with layered necklaces – try mixing fine with fashion, chain with pave and links galore! I love Deanna Hamro horn necklaces layered with long beaded strands from Robindira Unsworth. These are great combinations that look effortless but perfectly put together. 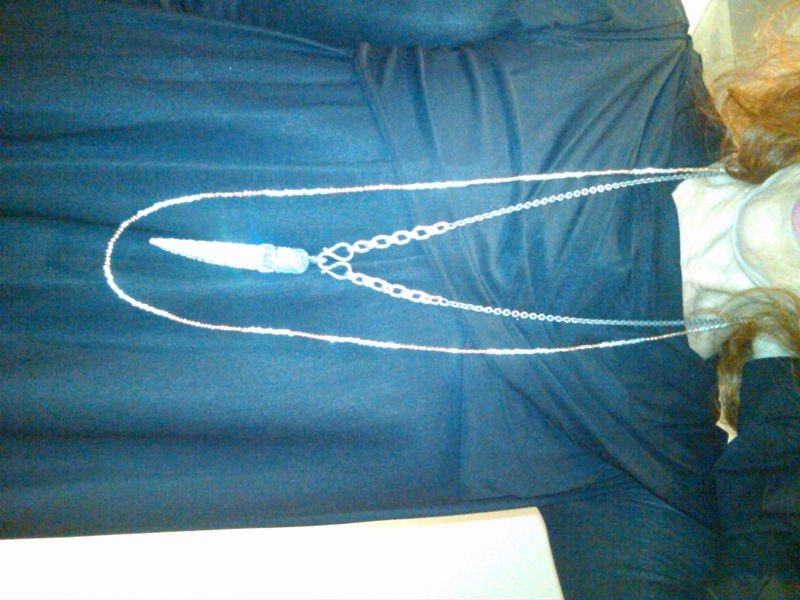 Dana Kellin also has a beautiful selection of pendants and long layering pieces you can mix and match to get the look. For this year’s Thanksgiving dinner, I am wearing a pair of Miguel earrings, a Miguel bracelet and a Sutra ring all pictured below. I love the warmth of the rose tones in the Miguel pieces and how the diamonds in the Sutra ring lends a bit of sparkle to accent the whole look! I hope this is helpful as you pick and choose your favorite looks for the holiday season! Feel free to call our store as well, our personal shoppers would love to help you – 212.334.9588. Happy Thanksgiving and have a wonderful time!